Our weekly notice sheet includes information about all the latest news and events of our church family. If you have an item you would like to be included in the notice sheet, please email xcspwn@gmail.com by midnight on Wednesday. We produce a quarterly church magazine – known as ‘Grapevine’ – that is a very readable mix of the spiritual and practical; humorous and thought-provoking. Below are links to the websites of other churches and organisations that might be of interest to you. Christ Church with St. Philip is in the Sutton Deanery within the Southwark Diocese. 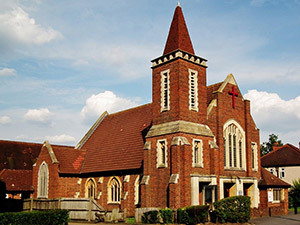 Or if you want to find out more about specifically Anglican churches in your area, take a look at the A Church Near You website. Also take a look at the Baptisms & Weddings page on this site if you would like to get married at our church, live in the parish and would like your banns read, or would like to arrange a baptism.